Hi, I'm having problems with the installation of the program. As soon as I start the program, I get the window of error 0800, which I already saw in the forum, but none of them worked for me. 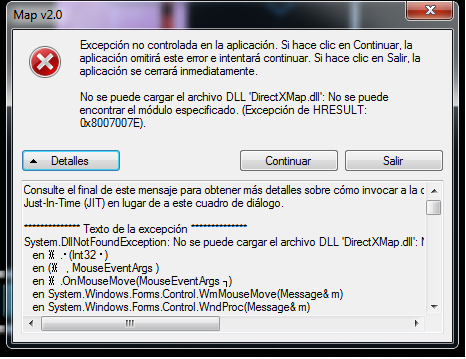 System.DllNotFoundException: No se puede cargar el archivo DLL 'DirectXMap.dll': No se puede encontrar el módulo especificado. Do none of these help? 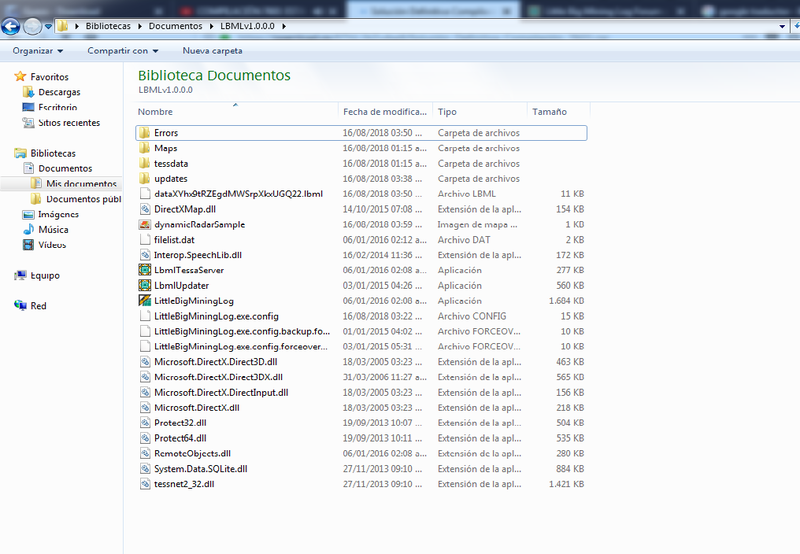 is the dll in your installation folder? I already reviewed all those answers and they did not help me. how different is this one from the one in the downloads section? Edited 1 time(s). Last edit at 09/06/2018 03:52PM by Adriano Rhinovich Vico. Thank you, solved my problem!